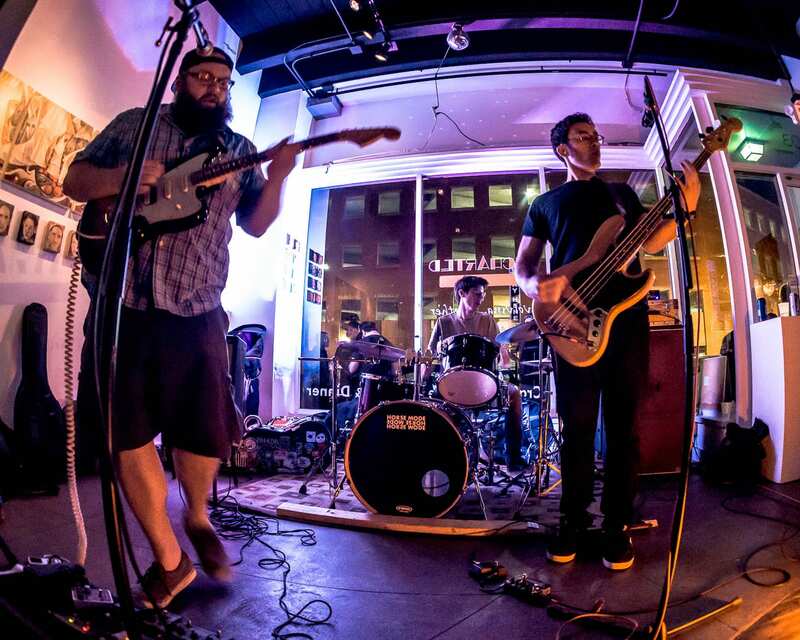 The Big Sway is an experimental Rock’n’Roll power trio born in Agawam, Massachusetts, and hailing from Springfield, Lowell, and Greater Boston. Established in 2007, The Big Sway has given over two hundred fifty live performances, self-released three studio albums (2017’s Ground Up, 2012’s Goddamn!, 2011’s The Cheese EP), toured the US Northeast, Canada, and Puerto Rico, and has developed a loyal fan base in their home state of Massachusetts and beyond. The Big Sway is known by fans for their highly energetic, tight and technical live performances, genre-defying compositions and tenacious DIY spirit. The Big Sway is a hard-working band, currently touring in support of their new album Ground Up, and working towards a new 2019 full-length release.